Home > RET review – what does it mean for renewable energy in Australia? RET review – what does it mean for renewable energy in Australia? The renewable energy target (RET) has been the single largest driver of the uptake of renewable energy technologies in Australia, facilitating the installation of well over 3 GW each of wind turbines and solar photovoltaics. 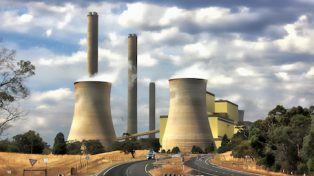 In late August the government made public the report from the RET Review panel, stating that the RET was a relatively expensive way to reduce emissions and with recommendations that the target be significantly reduced from its current level. This Energy Futures seminar presented a range of views from industry experts on the immediate and long-term impacts of possible changes in the renewable energy target in Australia. Cathy Alexander is a research fellow at the University’s Melbourne Sustainable Society Institute, where she works on research translation on the environment and climate change. She was previously a journalist for eight years, including stints at Crikey, and at AAP in the Press Gallery in Canberra. Her main media round was the environment so she’s followed the fortunes of the RET in the Parliament. Tony Wood is the Energy Program Director at Grattan Institute with deep experience in the energy sector. He worked at Origin Energy for 11 years, and was an adviser to the first Garnaut climate change review. Tony is also program director of Clean Energy Projects at the Clinton Foundation. Anthea Harris is the current CEO of the Climate Change Authority. Prior to her appointment, Anthea was a Chief Adviser within the Department of Climate Change and Energy Efficiency, where she played a leading role in the development of the Australian Government’s carbon pricing mechanism and associated climate change measures. Anthea contributed to both the government’s Green and White Papers on the Carbon Pollution Reduction Scheme. Ivor Frischknecht is ARENA’s inaugural CEO. Before joining ARENA he was responsible for clean technology investments at venture capital firm Starfish Ventures. Ivor was previously Director of New Ventures at Idealab, a company involved in developing and investing in renewable energy technology start-up companies. Before focussing on investments, Ivor was a senior executive, including CEO, of a number entrepreneurial and clean energy companies.